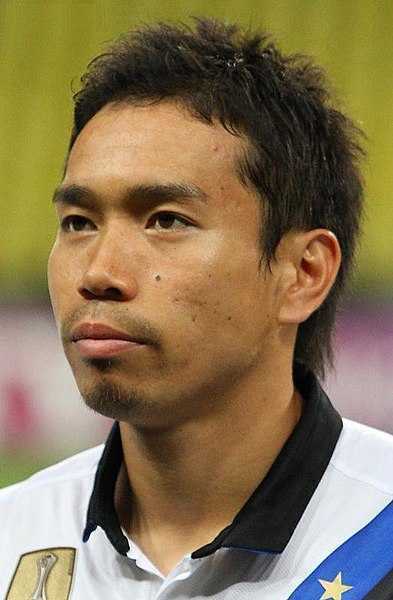 Yuto Nagatomo is a Japanese international professional football player. Currently, he plays as a defender for Turkish club Galatasaray and the Japan national team. He started his professional football career from FC Tokyo in Japan. Since then he has played for Italian clubs Cesena and Inter Milan. He has made senior international debut for Japan national team in 2008. He has won Coppa Italia with Inter Milan in 2011 and Super Lig with Galatasaray in 2018. With Japan, he has won AFC Asian Cup and Kirin Cup, both in 2011. He paraded the Japanese flag around the pitch during a Champions League match against Bayern Munich to show solidarity with his home country, Japan following the catastrophic earthquake and tsunami that took place in 2011. Yuto Nogatomo was born on 12 September 1986, in Saijo, Ehime, Japan. He was raised by his mother, Rie Nagatomo with his brother, Minoru Nagatomo. Regarding his nationality, he is Japanese and is of Asian descent. Yuto Nagatomo attended at the Higashi Fukuoka High School where he started playing football. Later on, he joined at the Meiji University and played college football. Yuto Nagatomo started his youth football during his high school career in 2002. After completing high school, he played football at Meiji University. Nagatomo began his professional football career from FC Tokyo in 2007, where he played for four years. In July 2010. FC Tokyo loaned Nagatomo to newly-promoted Serie A club AC Cesena. He played the first half of the season at Cesena. Another Italian club Inter Milan eyed Nagatomo for his impressive performances at Cesena. Cesena loaned Nagatomo to Inter Milan becoming the first East Asian to sign with Inter Milan. Nagatomo showed impressive performance in his first season at Inter Milan, which led the club to sign him permanently. Nagatomo turned down an offer from Manchester United in 2015. Turkish club showed interest in Japanese defender Nagatomo. Inter Milan loaned Nagatomo to Galatasaray in January 2018. In June same year, Galatasaray made the Nagatomo move permanent. Initially, Nagatomo represented Japan U21 at Summer Olympics in 2008. He was then called up for the senior team in the same year. He made his senior team debut in May 2008 in a friendly against Ivory Coast. Nagatomo's first World Cup was 2010 FIFA World Cup. Nagatomo was a key player in the Japanese squad that won AFC Asian Cup in 2011. Later, he appeared in Japan national team at 2013 FIFA Confederations Cup and 2014 FIFA World Cup. Yuto Nagatomo is married to beautiful Airi Taira. She is a popular Japanese actress and the couple got married in 2017. Before marriage, the couple was in a long-distance relationship with each other for several years. Nagatomo was playing football in Europe, whereas his girlfriend was pursuing her acting career in Japan. Nagatomo proposed to his girlfriend on the San Siro pitch. She accepted the proposal and they are leading a happy life together. They have a child together. The Japanese defender stands 1.7 m tall i.e five feet and six inches. He has a weight of 68 kg. He is 32-years old at present and has maintained his body perfectly fit for football. 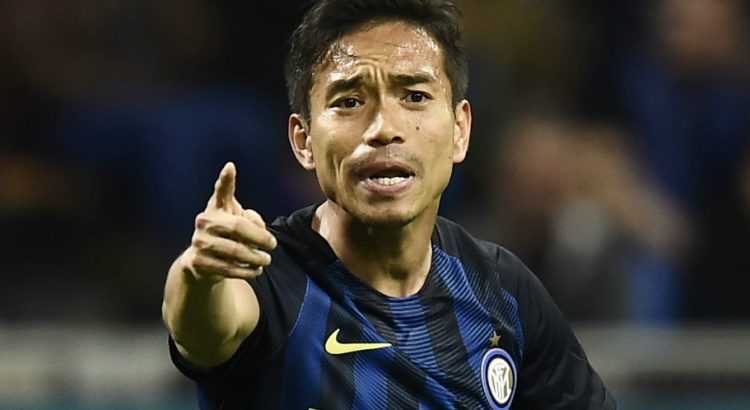 Previously, Yuto Nagatomo had an annual salary of 1.5 million Euro at Inter Milan. At present, he has an annual salary of around 1 million Euro at Turkish club Galatasaray. His market value is estimated at around 4.1 million Euro. The net worth of 32-year old defender as of 2018 is still under review. However, it can be predicted that he has had quite an impressive earnings playing in Italy's and Turkey's top club.